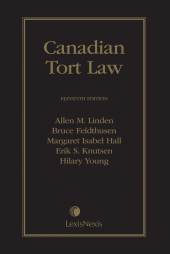 The eleventh edition of the leading treatise on tort law in Canada continues the standard of excellence achieved by each previous edition and answers questions for all professionals in this field. 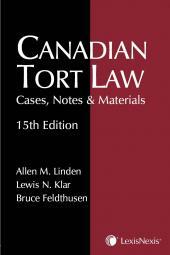 This is a student edition. 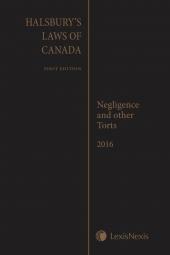 Click here for the professional edition of Canadian Tort Law, 11th Edition.